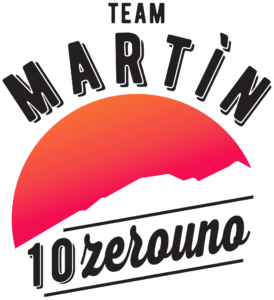 The Team Martìn 10ZeroUno, under the patronage of the Municipality of Mele, is organizing the FIRST EDITION of the Vertikal Punta Martìn for Amputees Race on Saturday 16 November 2019. Participation is free of charge, upon sending a sports curriculum attesting to a sufficient preparation to complete the planned course within a time limit of 4 hours (average ascent rate 225 m / h). Those who took part in the Zero Edition will be officially admitted to the Race. The Organization reserves the right to move the Athlete who does not have an adequate curriculum from the Race to the Experience. All athletes must have a personal guide, chosen by the athlete. The athlete must inform the organization in good time of the unavailability of having a support guide, in which case the organization will try to deal with it. If the organization does not find an adequate guide, the athlete cannot take part in the race. A COPY of the MEDICAL SPORTS CERTIFICATE valid for the day of the event must be uploaded to the WEDOSPORT registration portal. As the guide is part of the support team, and having the competitive nature of the event, the guide must also provide a certificate of GOOD HEALTH, not necessarily AGONISTIC. CAUTION!!! Participation will be confirmed by our secretary via email. The maximum number of participants is fixed at 50 athletes. The meeting is scheduled for 8.30 am at the town of Acquasanta (Mele – Genoa), on the Square in front of the Mutual Aid Society “Libero Pensiero”. The maximum time to complete the course is 4 hours. It is HIGHLY RECOMMENDED (but not mandatory) to use the HELMET from CLIMBING / SKI MOUNTAINS or CYCLING / MTB. The briefing will be at 9.45 a.m. The departure will take place at 10.00 a.m. from the square in front of the the Mutual Aid Society “Libero Pensiero” in Acquasanta, in the mass-start mode. The finish is placed at the top of Punta Martin. The race course develops uphill on creuze and mountain paths, with a positive gradient of 897 meters, from the town of Acquasanta (altitude 165m s.l.m.) 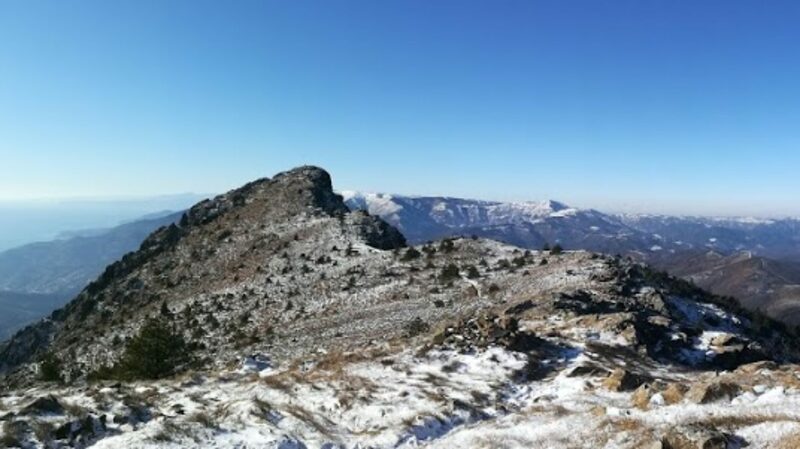 to the peak of Punta Martìn (altitude 1001m s.l.m.). A final refreshment will be set up at the Zucchelli bivouac on Mount Pennello: from here ONLY the athletes will then be transported by motorized means provided by the organization to the town of Acquasanta, while the guides will return on foot through a prepared route. The organization, in case of serious weather conditions (yellow alert), will divert the route to the Cappelletta della Baiarda: in this case the return to the town of Acquasanta will be on foot. In case of orange / red alert the event will be canceled. The prizes will be awarded at the end of the event, around 6:00 pm, in the Acquasanta area. ALL athletes will receive a certificate of participation and a race pack.